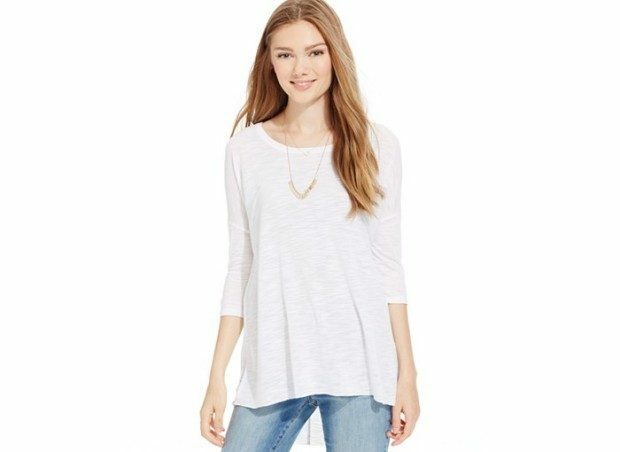 Juniors' Three-Quarter Sleeve Slub Tunic Top $13.59 At Macy's! You are here: Home / Great Deals / Juniors’ Three-Quarter Sleeve Slub Tunic Top $13.59 At Macy’s! Juniors’ Three-Quarter Sleeve Slub Tunic Top $13.59 At Macy’s! Order the Juniors’ Three-Quarter Sleeve Slub Tunic Top At Macy’s and pick it up in the store! On sale for $16.99 get them for Only $13.59 with promo code! Ultra Flirt’s beyond-basic tunic top takes your leggings to new heights of style with three-quarter sleeves and textured slub fabric. Enter promo code BTS at checkout to get your extra 20% off Juniors, Guys and Kids Back to School wear!